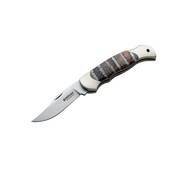 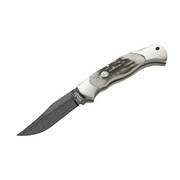 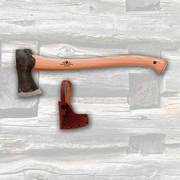 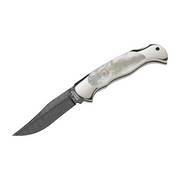 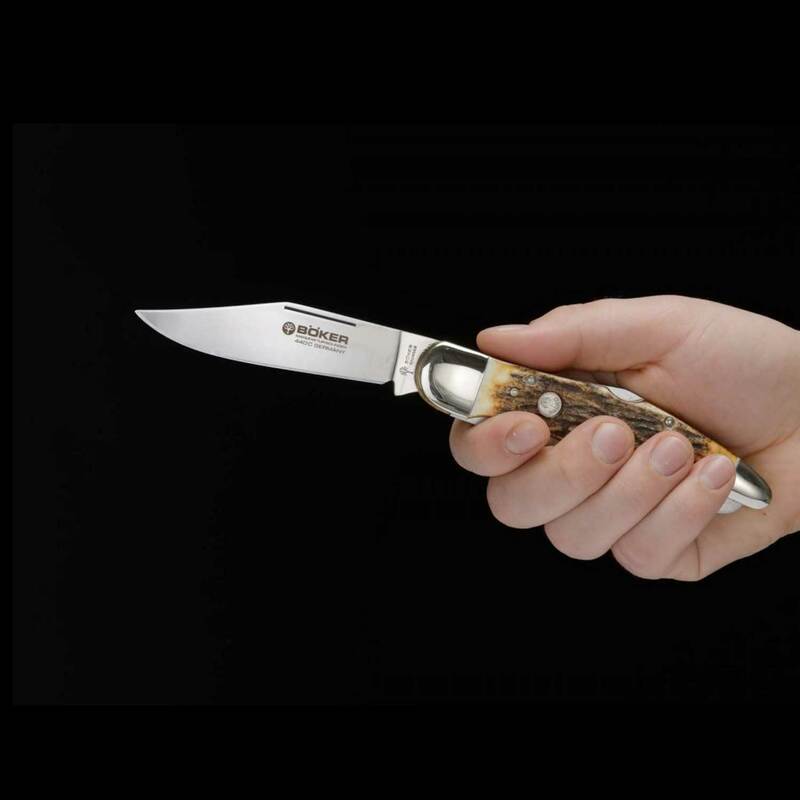 The Boker Hunter’s Knife Duo continues to delight the traditionally oriented hunters. 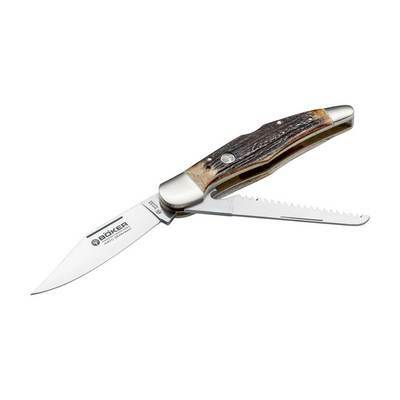 The classic scales, crafted of rugged stag, give this pocket knife an extraordinary charm. A special feature of stag scales is their individual shape. 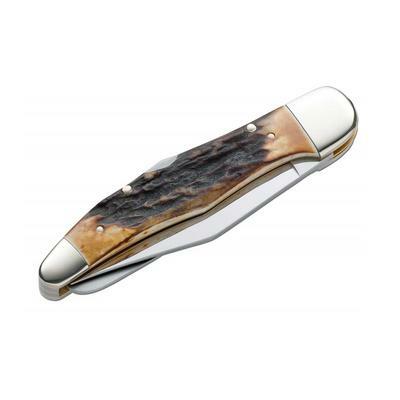 While wood handles differ mainly in their grain and color, scales made of stag are also characterized by their very specific surface structure, which makes each item a unique piece of art. 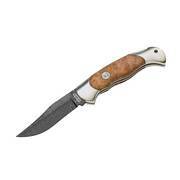 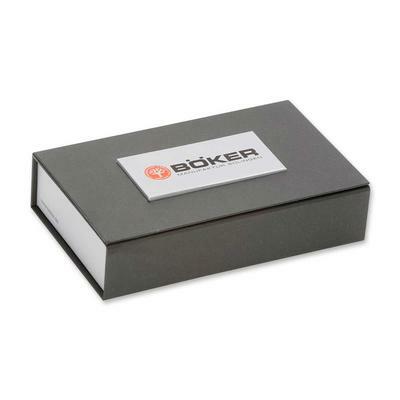 The main blade is made of high performance 440C stainless steel, and is accompanied by a rugged saw blade, which also serves as a bottle opener. Both blades are locked with the sturdy backlock mechanism. 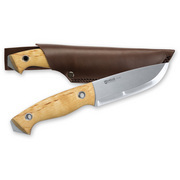 Includes a high quality leather sheath.